Embellish your special day with a beautiful diamond wedding ring, made in a crossover style and set with round brilliant and baguette diamonds for a uniquely sentimental treasure. 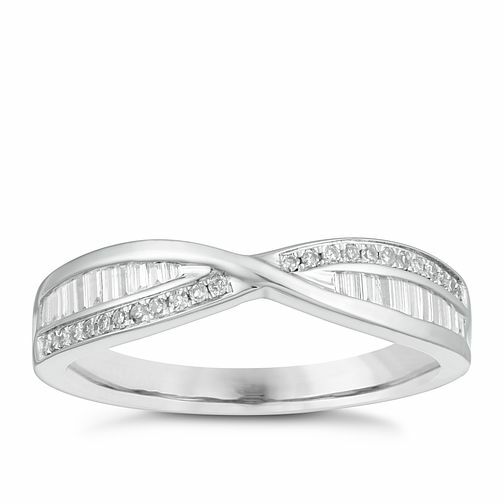 9ct White Gold 0.20ct Diamond Crossover Wedding Ring is rated 5.0 out of 5 by 1. Rated 5 out of 5 by Anonymous from Wedding ring Very stylish fantastic value for money. Goes very well with the engagement ring.